In 1792 Rene Payne of Welford employed Sir John Soane to design a house on land in the Parish of Sulby. The house, built in the Palladian style in 1793-95, was of two storeys with basement and attics. 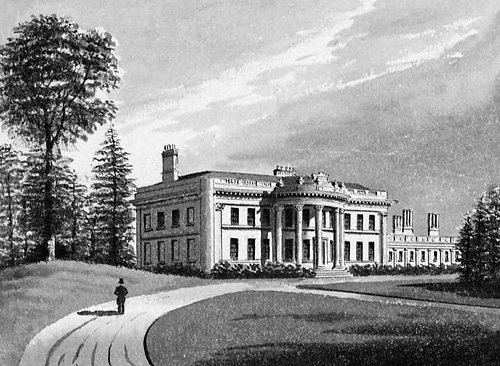 In 1810, Payne’s grandson George, 1803-78, who according to legend was the secret son of King George IV, inherited the house, and on coming of age in 1824, used the considerable fortune that had accumulated during his minority, to enlarge it. In 1912 it was purchased by Major Guy Paget and a second storey was added. The Paget coat of arms were used on a bridge at the west end of the main lawn. 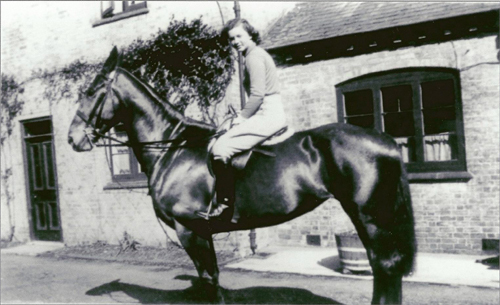 Twenty hunters were kept in the stable block for riding with the Pytchley hounds and these buildings later became a farm in the 1950s. 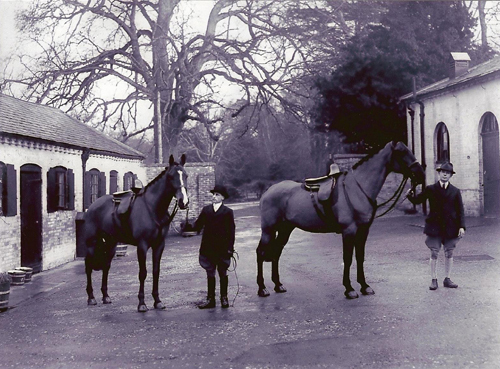 From 1916 to 1919 Sulby Hall was used as a hospital with fifty beds for men wounded in the First World War and they were often seen exercising in the grounds. The house was eventually sold for demolition in 1952. 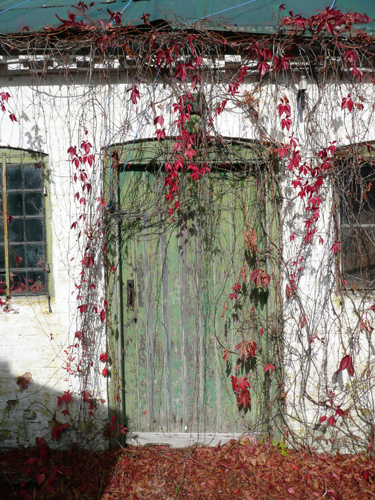 I was asked to carry out the paint analysis of the external joinery in the Soane-designed stable yard. I was able to show his client how the buildings had been painted in four distinct colours during the last 200 years. 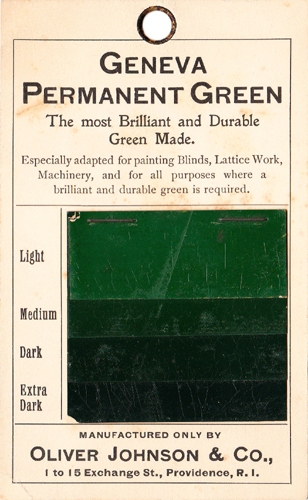 I also came across yet another example of what I have termed the “Penrice Effect” – the curious phenomenon of Brunswick green paint being changed to blue over many years exposure to the elements. Similar sights have been seen at Culzean Castle; Hidcote Manor Garden and Penrice Castle. 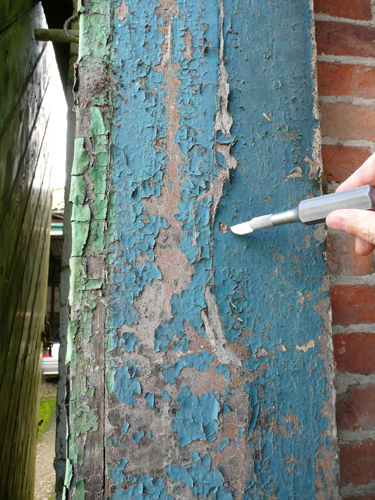 A classic example of the “Penrice Effect” – the ‘bluing’ of old Brunswick green paint. I have also written about this phenomenon. The Soane drawings and an account of his work at Sulby can be seen here.